Hi Target had a sale on the Smithfield ET BB ribs for $1.50 lb. I picked up two racks to smoke on my 22 WSM. I read some where, that they cook faster then the other BB's ribs..I going to with temps 250-275 so what kinda of time am I looking at? Just from experience: faster cooking? Personally if I was using your temps (and I would) , I'd check after 3.5 hours if I believed the advertising. As backs usually take 4 to 4.5 hr, that's a starting point. What is "faster"? Unless they provide some guidance, I'd take that term with a grain of "rub" and just monitor them at the 3.5 hr mark. Obviously you can check earlier. AND what is "extra tender"? Look on the package. Does it say "enhanced" or something similar? If so, that would be the last time I bought them. Don't need injection (plus all that extra salt). Last edited by Len Dennis; 09-15-2018 at 05:30 AM. Hi The Extra Tender ones are enhanced. 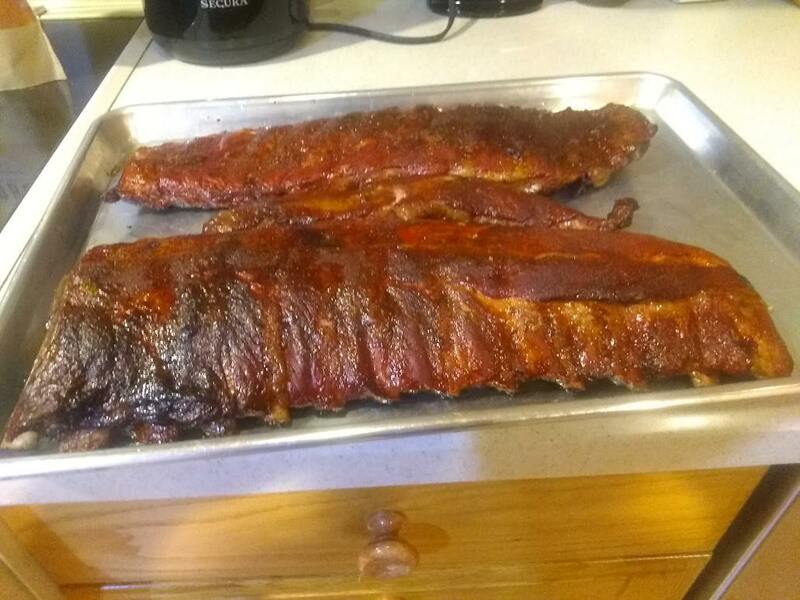 I tried the ET ribs awhile back, they weren't too bad. I couldn't pass up the $1.50 lb. Last edited by DBono; 09-15-2018 at 06:53 AM.